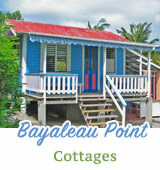 There is a good variety of types of accommodation available in our sister island of Carriacou. Experience the Caribbean you have only seen on postcards - for real! 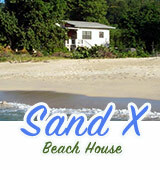 Check out the private villas, hotels and apartments that Carriacou has to offer. A family owned/managed small hotel with central location in Hillsborough. Offers self-contained studio rooms with phone, TV, air-con & kitchenette plus economy rooms with shared kitchen. On premises: supermarket & internet access. Set on the south point of Windward Bay, Carriacou, these 4 elegantly simple self-contained cottages are the gateway to the emerald isles of the Grenadines. Beach access, snorkelling, boat trips to the Tobago Cays and beyond. 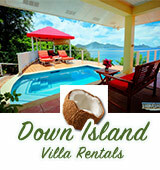 Down Island offers a selection of peaceful, privately owned villas, cottages and apartments in Carriacou's best locations - some of the most beautiful in the Caribbean, with splendid views of the Grenadines. 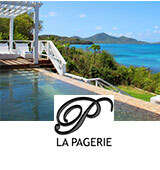 La Pagerie is a beachfront villa nestled in High North National Park. This large house is built on a half-acre flowered garden above a secluded beach cove. 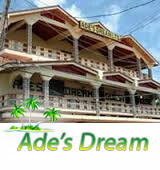 It offers five large bedrooms and one studio and is ideally fit for ten guests. Sand-X is located in the lower Hillsborough near beautiful Hillsborough Bay. This house has two bedrooms with queen beds and sleeps four (4) adults and main bedroom has its own private balcony.